All pillows are handmade, in Saskatchewan, with high quality cotton-based fabric. All cotton-based fabric pillows are washable, which means all colouring can be safely removed without damaging the original pattern. No special markers or crayons required. What’s special is the fabric and the pillows! Colour Me Cushions started as a hobby when my mom was looking for a unique Christmas gift for my two nieces. While strolling through a fabric store one day, desperate for ideas, she came across a fabric that was designed to be coloured on. It seemed like a good idea, so she brought me the fabric and asked me to make it into a pillow. She packaged them with some fabric markers and when they opened them on Christmas morning, they absolutely LOVED them. I loved them almost as much as they did! I love to colour! 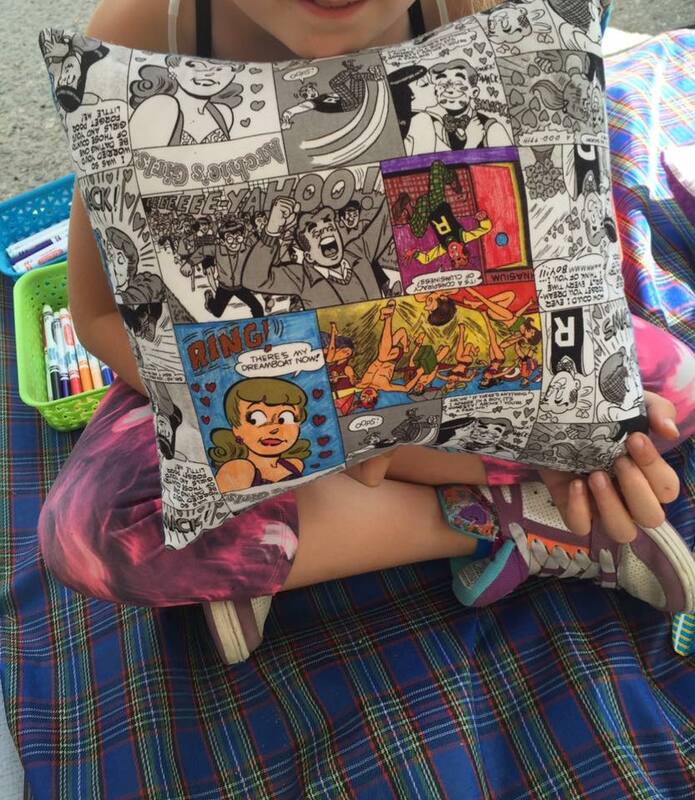 Jump forward 6 months and the pillows are on the market and I get to spend every weekend at trade shows and craft fairs colouring with kids and watching their faces light up when I tell them they can colour on a pillow! Seeing them colour and fall in love with a product I made is seriously the best part of my week. It’s why I give up every weekend to take my products to markets and try to reach new people. And when kids recognize me as the “pink haired pillow lady”, that’s just the best compliment!